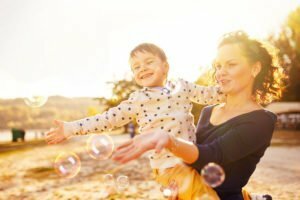 Being a single parent may the hardest thing one can do, so it is worth knowing a few things about life insurance that could potentially provide protection to your children. Being a single parent can be overwhelming. You somehow must find a way to juggle work, child-rearing, personal life, bill-paying, and other responsibilities that can take a toll on your body. If you find yourself in this position, know that you not alone–in fact, far from it. But every parent has one thing in common: they all want what is best for their children. If you are a single parent, here are a few things you need to know about life insurance and what it can do for your child should you pass before your time. Nobody expects to die before they reach an old and wrinkly age–this goes double for parents who have only just begun to raise their children. But, as you have surely come to realize, life is unpredictable and unfair. If you are to pass away before your children are independent adults, what are your children to do? Who will pay for the funeral? What about their education? Or simple things like food, clothing, and the chance to have as much of a childhood as they can–considering the circumstances. This is where a life insurance plan could help. It can ensure that your children and their guardian have the necessary funds to give the child a quality life. It can help pay for future college tuition and give them a solid financial foundation on which to stand as they enter the stage of adulthood. You are not alone, especially with the right life insurance policy to financially protect your kids in the future. Don’t wait to contact Pierce Insurance Group in McKinney, Texas!